Once you have entered in the ID & PIN of the travel band, you will be able to help notify the person’s emergency contacts. Where is my ID & PIN? What is an ID Tracker? The minute an emergency responder enters your unique ID code in the panel above here, they will access the vital medical information you've provided on your profile. Essential for travellers, ID Tracker wristbands can also be used to identify kids who could get lost or elderly who suffer from dementia. Travellers know how it feels to be completely alone in a foreign country. No doubt you've had the experience of being completely anonymous, realising that in that time and place nobody knows you, nobody even knows where you are! That thought can be liberating, but it can also be a little scary. What if the unexpected happens? An accident or a medical emergency? Anything from a bee sting to a vehicle accident could be life threatening without the support of family or friends to take care of you. 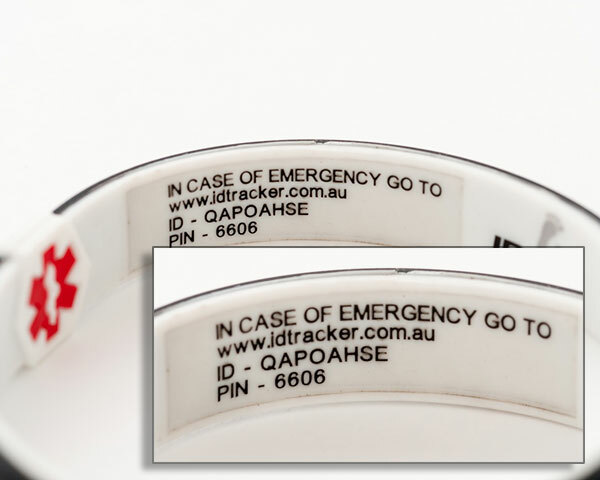 ID Tracker has been developed by two everyday Australians who have learned first-hand just how important it is to be identifiable in an emergency. So they invented a simple solution which every traveller should consider; a fashionable wristband that links to an online profile which can alert family and friends via email. The profile can only be accessed via a code which is inside the band, only readable when the band is removed. 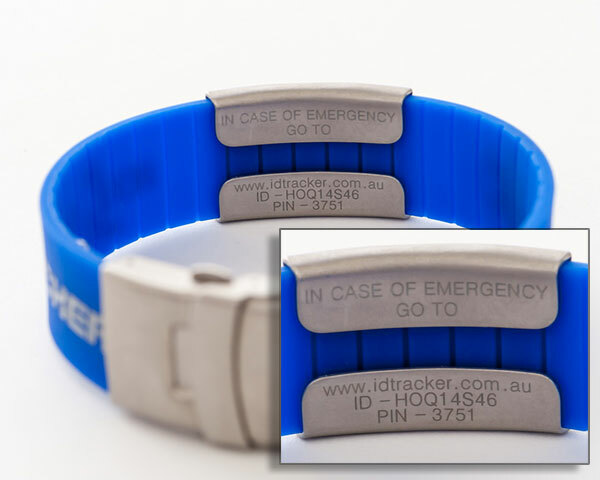 The outside of the band alerts emergency responders to access your profile. The ID Tracker is even more important for people with allergies or specific medical needs. Vital information that could save your life. I was able to travel with my children and wife with complete peace of mind with the ID Tracker wristband system.